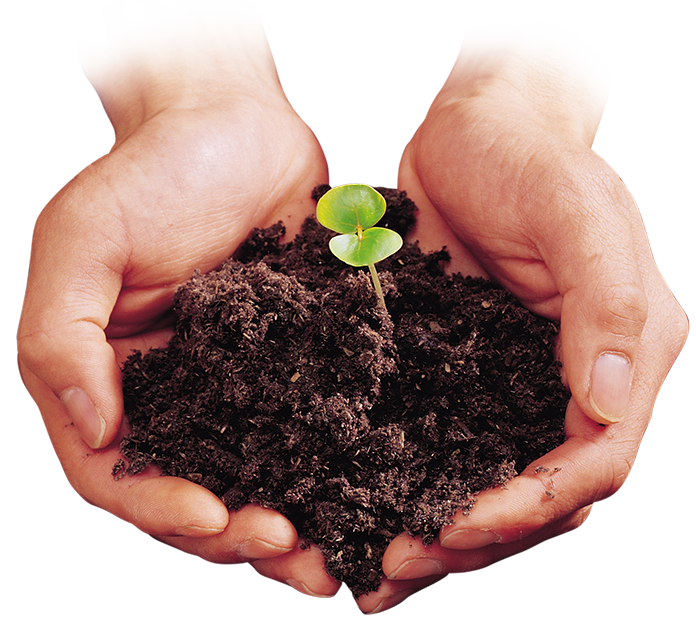 Our goal to meet our operating expenses for the next 6 months is $130,000. We are now able to accept electronic checks, with a signed completed form. 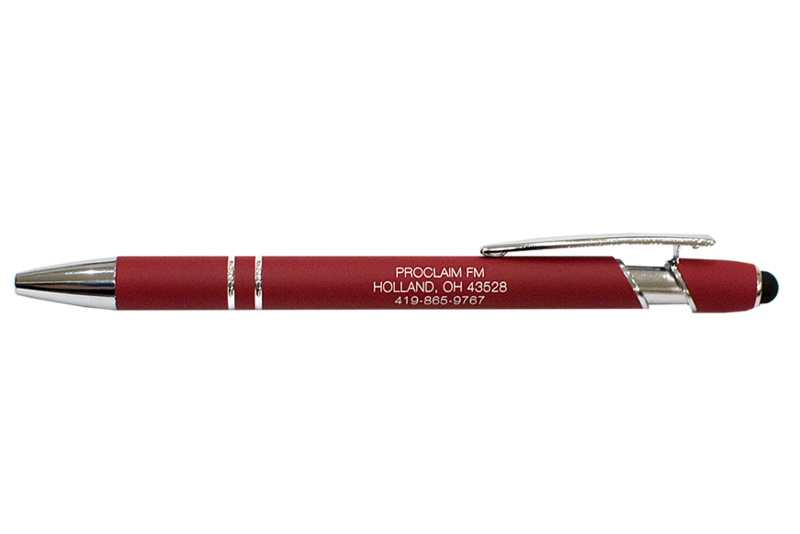 For your gift of $10 a month, or $120 one time, you can receive this Proclaim FM pen, with stylus for your mobile devices. 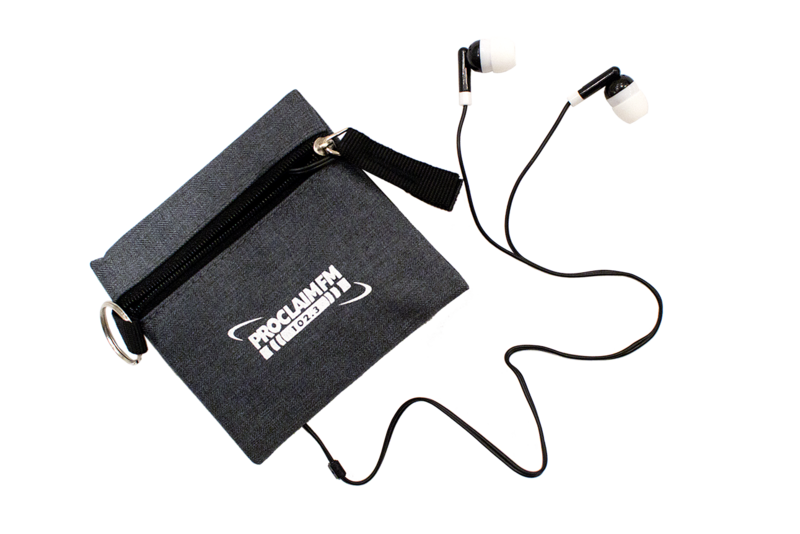 For your gift of $20 a month, or $240 one time, you can receive these Proclaim FM earbuds, so you can listen to your favorite radio station anywhere, anytime! The earbuds come in a pouch with a key ring. 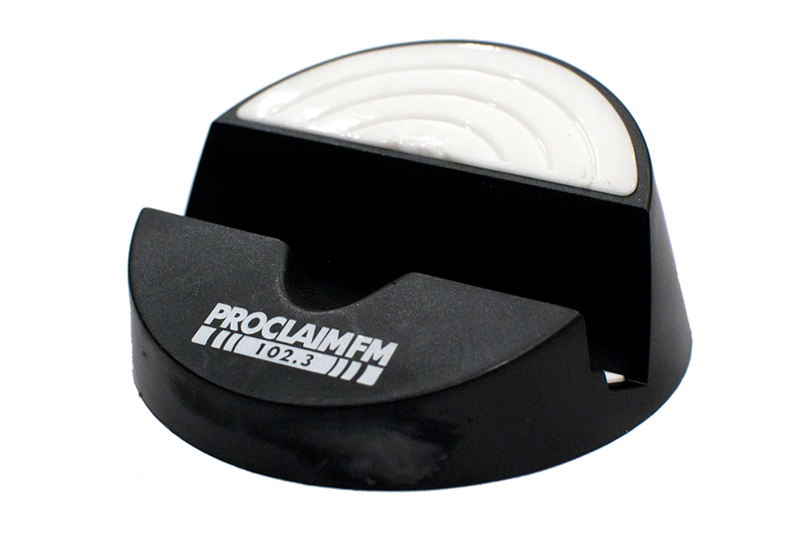 For your gift of $30 a month, or $360 one time, you can receive the Proclaim FM media stand. Keep your phone, tablet, or e-reader comfortable and off your desk. The angle of stand tilts your phone so you can clearly see any incoming calls or text messages. 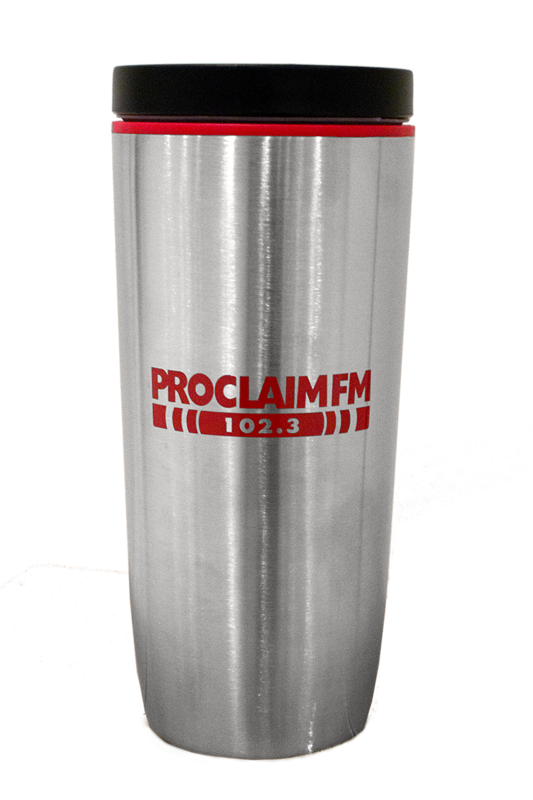 For your gift of $40 a month, or $480 one time, you can receive the Proclaim FM Tumbler. This 16oz tumbler is made out of stainless steel for long-lasting use. Perfect for coffee on the go! 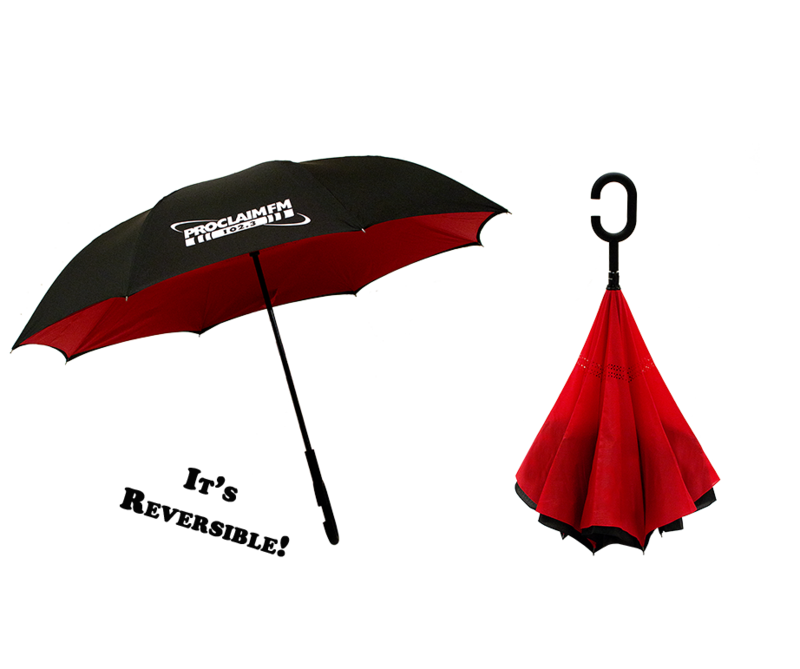 For your gift of $75 a month, or $900 one time, you can receive the Proclaim FM reversible umbrella! Using a reverse-open system, water is funneled away from the user when closed, keeping you dry- even when getting in and out of your car! 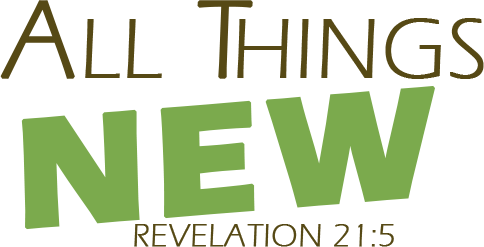 In addition, this makes you a half day sponsor! 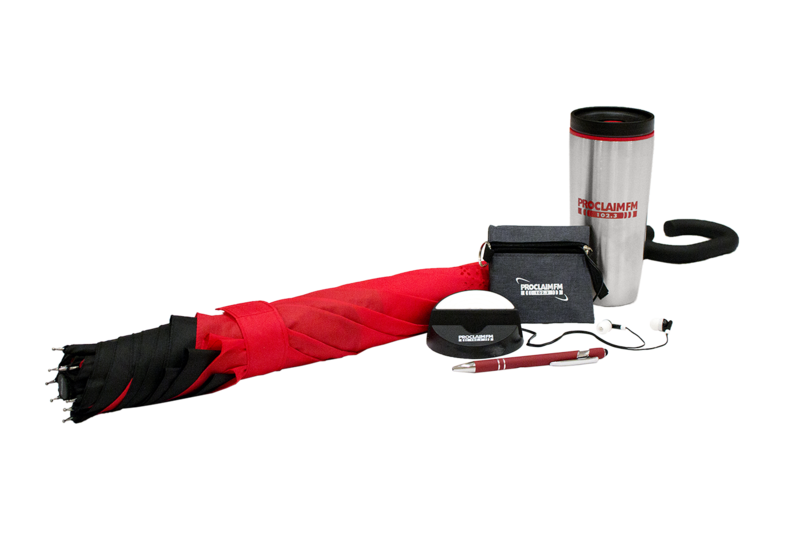 Become a full day sponsor with your gift of $125 a month, or $1,500 one time, and not only will you receive ALL of the incentives (pen, earbuds, media stand, tumbler, and umbrella), but you will also be mentioned on the air all day on a day that you choose!